So you’re after a little car; something that has some zip and some style to match? You might just like what I’ve found. 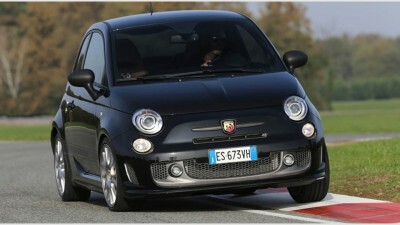 On the road the Abarth Competizione is a hoot to drive and glistens with loads of cool features and hot looks. Fiat has created a lovely small car here, and you’re sure to love the drive. Whether you use it as a commuter or a favourite drive for the weekend, the little Abarth Competizione will have you smiling. Gorgeous rounded lines, nice wide five spoke alloys, a low front air-dam with mounted driving lights and classy mesh inserts, pronounced wing mirrors in a complimentary colour, a roof mounted aerial positioned in the centre-rear, a roof spoiler and quad exhausts equals a package that looks tremendously good. Driving the Abarth Competizione is a sure-fire-way to get those positive endorphins circulating the body. The car is fun to drive and very eye-catching – just count the number of people who stare at the cute set of wheels as you drive passed. When it comes to ride quality the Abarth Competizione is surprisingly supple over the rough city streets, but there is a good level of tautness to get this car moving quickly through the twisties. You will have no problems keeping up with motorway traffic in the Abarth Competizione, the gearing is set nicely for cruising all day at motorway speeds. Inside the interior, the race seats are very supportive and look really good; so too does the dash and interior layout. Interesting dials, buttons and shapes are all about the Abarth Competizione cabin and they all blend in to make a picture-perfect car that’s easy to live with, super sporty in character and fun to travel inside. Road noise is reasonably well muted, though it’s nice to hear the engine humming along with a racy note. 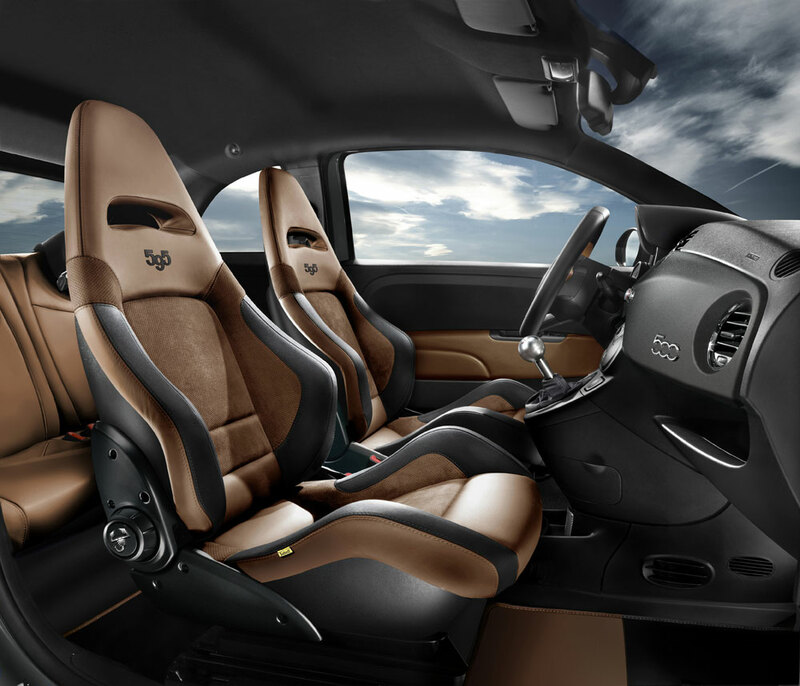 Features inside the Abarth Competizione include things like automatic climate control, a 7-inch TFT colour display screen, tinted windows, a hands free communications system and an audio that boasts 4 x 40W speakers and 2 x 30W tweeters. Steering wheel controls are standard. It’s a bit of a racy interior and so the cabin includes some glitzy bits-and-pieces. The aluminium pedals, footrest and carbon fibre kick plate set the tone alongside the aluminium gear knob. The orange and grey cloth material on the Abarth Corsa seats bring the cabin to life. Those in the front seats will enjoy a decent bit of room, however the two adults in the rear seats will be a little tighter – but not unbearably so. There is heaps of detailing that shouts out “I’m a cool car”, and with effects like the yellow brake callipers, potted brake discs, tinted rear window and rear door windows, sports alloys and the Abarth grey titanium door sticker, it’s all rousing. Optional extras include items like Xenon headlights, a sunroof, a dualogic transmission, reverse sensors, premium sports leather seats and an Interscope sound system can be added at an extra cost, of course. What’s it run like? The Abarth Competizione is feisty and fast. On the right piece of road (or race track) the Abarth Competizione can hit 210 km/h. The 0-100 km/h sprint can be completed in around 7.5 seconds, which is outstanding for the 1.3-litre, T-Jet 4-cylinder engine. Boasting a tuned upgrade the Abarth Competizione boasts a maximum 118 kW power output at 5500 rpm and a very healthy torque figure of 230 Nm at 3000 rpm. All these figures are proof of what is a really exciting little car to drive. You can have as much fun in this as you would in a much more expensive sports car. The Koni suspension allows for some awesome grip. For any more information on the Abarth Competizione or, for that matter, any other new car, contact one of our friendly consultants on 1300 303 181. If you’d like some fleet discount pricing (yes even for private buyers! ), we can submit vehicle quote requests out to our national network of Abarth dealers and come back with pricing within 24 hours. Private Fleet – car buying made easy!